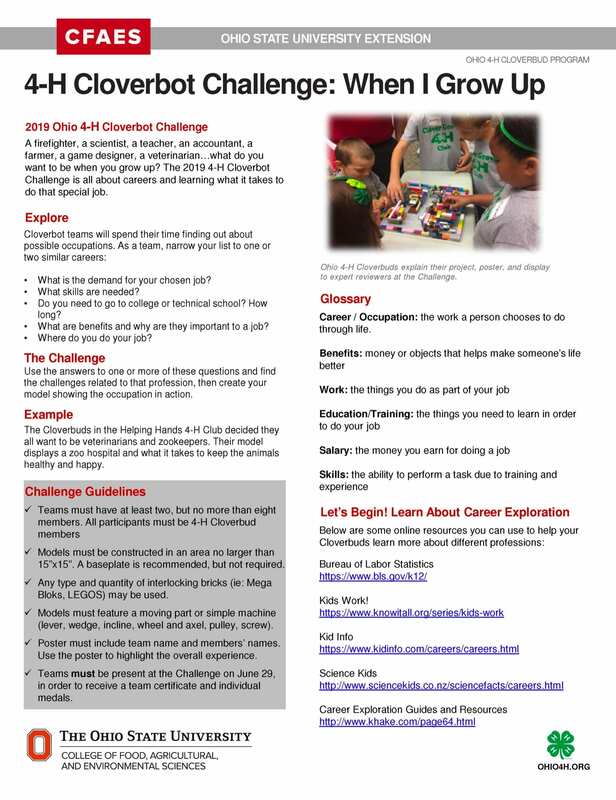 Are you looking for some new and exciting resources for the Cloverbud’s in your club? 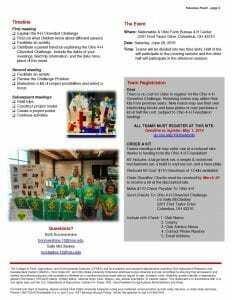 Are you signed up for Ohio 4-H Cloverbud Connections? It is sent directly to your email two times per month. 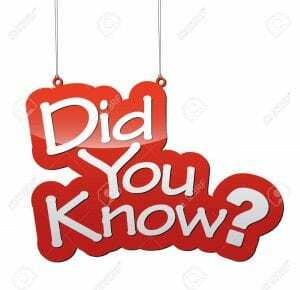 It has great age appropriate activities for you to try in your club. There are past issues from 2003-2017 full of great resources as well. Consider signing up! Click here. Then, on the left you will see “subscribe by email.” Just put your email and click subscribe! That is all you need to do. Or if you are wanting to explore new ideas, click that on the left above the subscribe by email. 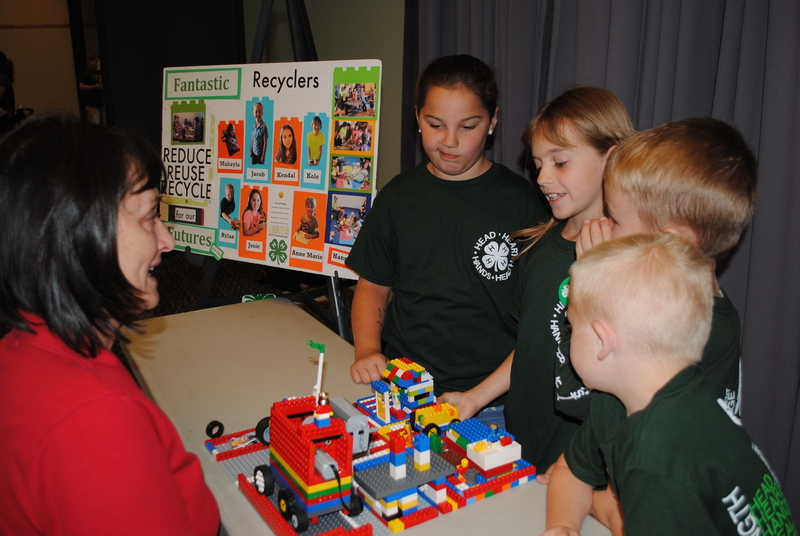 The Ohio 4-H Cloverbot Challenge gives 4-H Cloverbuds the opportunity to work cooperatively in teams to problem- solve using STEM (science, engineering, technology and math) skills. 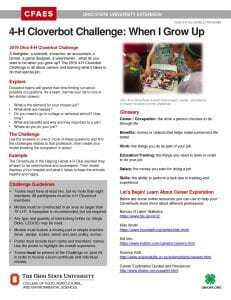 A new theme is selected each year and teams research a topic, build a working model of their solution to the Challenge issue, and create a poster to illustrate their findings. 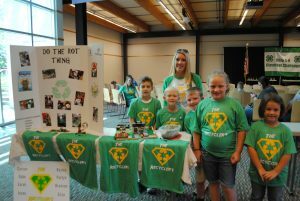 Cloverbuds, team advisors and families come to the Nationwide Ohio Farm Bureau 4-H Center in the spring, for the Challenge event. 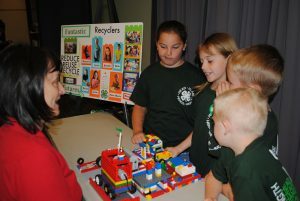 Teams present their models and findings to a team of reviewers, learn about other Cloverbuds’ projects, participate in age-appropriate STEM activities, and are recognized at a closing celebration. This year’s theme is the Cloverbot Astro Challenge and is scheduled for June 9, at the Nationwide & Ohio Farm Bureau 4-H Center in Columbus. Need a kit of blocks to get started? Order Deadline: Checks must be received by March 20 to receive a kit at the discounted rate.